Founded by two truly perspicacious brothers, Belsire might possibly be the most aptly named commercial entity in Italy. Just as many Catalans do not consider themselves Spanish, and a number of Cornish folk would sooner be garrotted than be referred to as ‘English’, the denizens of the narrow ginnels and cobbled squares of the old seaport of Naples incessantly call themselves Neapolitans, rather than Italians. And nowhere does this quarantined identity find its expression more ardently than in the realm of menswear. Names such as Kiton, Attolini and Rubinacci immediately conjure images of exquisite stylistic bravado: racks of jackets cut from eclectic but consistently eye-catching cloths (soft of shoulder, devoid of heavy linings, naturally shaped shoulders, obviously); contrasting trousers, often in linen, usually cut narrowly, bar the upper portion; ties, if worn, double-dimpled, rarely conservative and often seven-fold. So it’s always exciting when a newcomer arrives on the scene and deigns to offer something new, as shoe and accessory maker Belsire did in 2014. As if entering so vibrant, so busy a realm as Neapolitan menswear isn’t brazen enough, the company really threw down the gauntlet by coming up with a name which is a mash-up of the Italian words for “elegant” and “gentleman”. And, Belsire – which launched its first Spring/Summer 2016 collection at the 88th edition of Pitti Uomo – is doing a pretty good job of living up to it. Anyone glancing at the current Belsire canon should feel the boundaries of their own fantasies prodded, not least by the brogue/moccasin hybrid that is the Lupo Loafer, the sweeping lines of the Tancredi Double Monks in taupe leather and – our personal favourite – the Paul Beatles: a Chelsea boot in denim similar to what the man himself would have worn during his stylistic purple patch, the Marrakesh era. Some choices from the brand’s selection of silk ties, pochettes, scarves, belts and swimwear will also embellish the most catholic of wardrobes. “There’s no fun in the usual things, in the ordinary,” reads one of the company’s diktats, while another states: “The most exciting situation [arises] when it is enriched with thoughtful details.” And, these are guys – take our word for it – who practice what they preach. Of course, “decontractè” is partially synonymous with a word which often teeters on the brink of self-defeat: sprezzatura. Studied carelessness is manifestly an oxymoron, one which plays out twice a year with the more self-conscious attendees of Pitti Uomo (you’ll find them on the kerbsides, holding newspapers aloft to hail imaginary taxis – a pose they hope will attract the paparazzi). However the concept – executed properly, for which read with genuine indifference – can be a compelling one, and fundamental to bona fide sprezzatura is comfort, both psychological and physical. 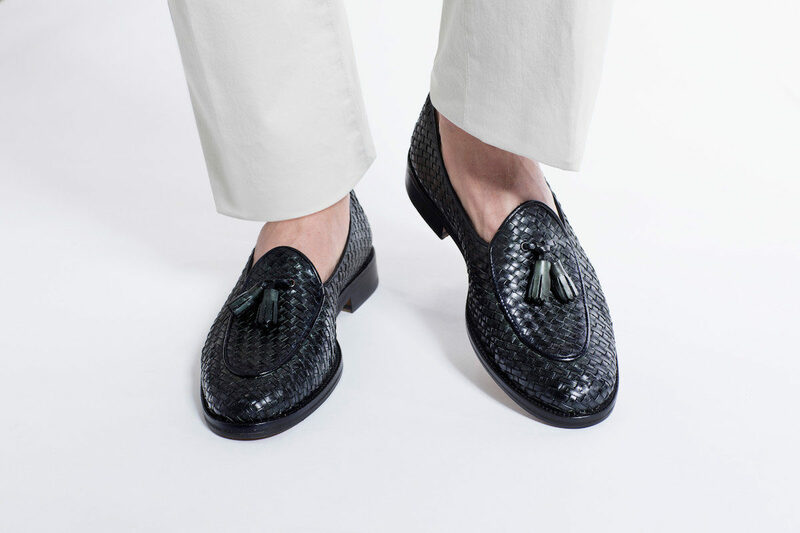 If it’s true what they say about women being able to tell plenty about a man from his shoes – his core values, ambitions and, quite frankly, his Darwinian potential as a mate – then here is a brand which will leave her intrigued, curious and most certainly charmed.